Can 2012 really be almost upon us?? Really?? I want to just stay in denial. 2012 is gonna be big year...it will be our 10th wedding anniversary, and my children will turn 9, 7, 3 and 1. Craziness. I'm feeling a bit old here people! This year, I returned to blogging after pretty much leaving it for over a year. Life had been crazy and blogging had ceased to be fun. It was just one more thing to do, so I quit. After receiving some encouragement to revisit blogging, on January 5 I started a 365 project. I wanted to take a picture and blog about it every day. I made it 70 days in a row!! I was proud of myself! Yeah, I know, I didn't exactly finish, but ever since I've been blogging consistently and have loved it so much! And now, since we are soon embarking on a new year, I thought it would be fun to look back on my return to blog-land and share my favorite projects from 2011! First up, my amazing red coffee table! What's so amazing about it? Well, there's a little, okay, big secret hiding under that lid and I think you'll be pretty surprised! 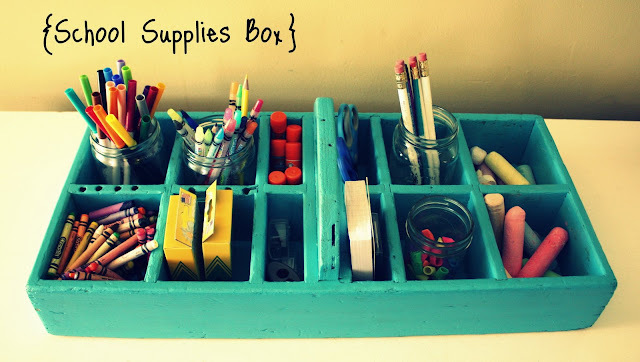 This Vintage Toolbox redo for organizing our supplies for homeschooling is definitely one of my favorites. It gets used every day around here! My dining room before and afters were so much fun to share. It's amazing what a little DIY will do, isn't it? My daughter is still loving the shirred dresses that I made for her and her favorite doll for her birthday. These are so easy and fun to make! And how could I possibly leave out these Pumpkin Spice Muffins with Cream Cheese Filling?? Oh my. LOVE. 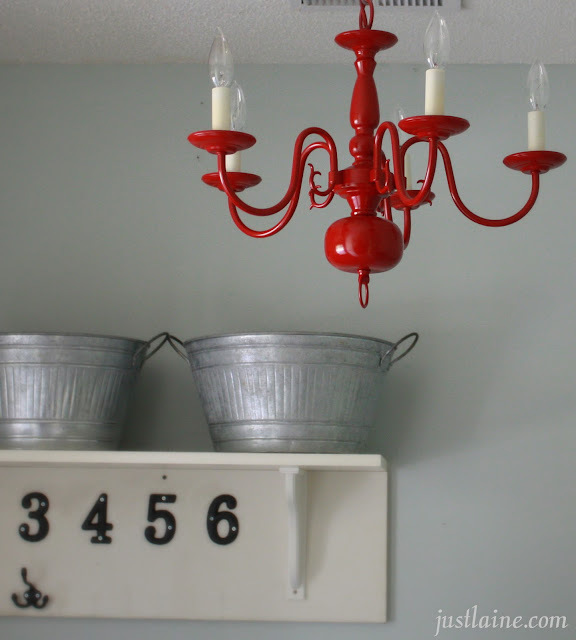 This sassy, red chandelier has really brightened up my laundry room and is still making me smile! Why did I put it in there? Well, we all need a happy reason to visit our laundry rooms now don't we? =) And see the missing numbers? They are missing no more...maybe I can show you this room soon! Our $4 DIY Family Rules Subway Art is still by far my favorite piece of decor. So glad that we did this! Making my very first quilt for my baby girl was a big accomplishment! Wanted to pull my hair out at times, but the end result was SO worth it. Hope you enjoyed this little "DIY" trip down memory lane! What was your favorite project of 2011? So glad you came back to blogging! It has been fun to keep up and get to know you through your blog. :) You accomplished quite a lot of amazing projects this year. So many that are just awesome... hello that coffee table is pretty one of a kind and the workbox system is AMAZING! I really do love that red chandy!! Congrats on your big year coming up! Mine will be turning 9, 4, and 2! Lucy is so precious... you will blink and she'll be turning that big #1. Sniff!! Why do they grow up so fast?? 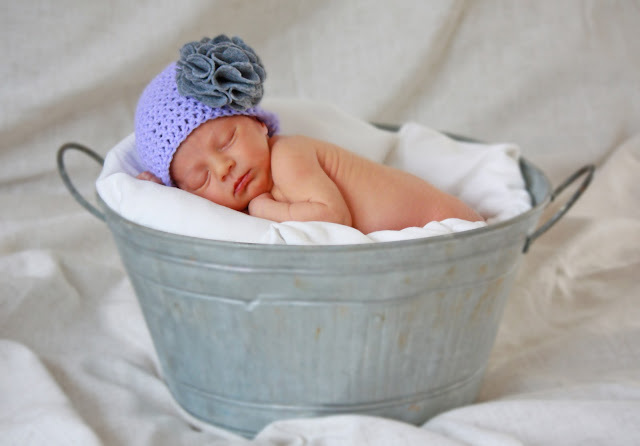 The last project is the sweetest of them all :) What a beautiful little girl - so so sweet! so many great projects. and lucy is beautiful. congrats! I'm so glad you returned to blogging and that I found your blog a couple of months ago. I really enjoy reading your posts. I'd love to have you come over and enter to win my first giveaway! It started this morning! Crossing my fingers you win sweet friend!! We have a lot in common... I'm also a Christian, homeschooling mom (4 girls, 4 boys), and we are DIYers and love to try new projects, recipes, etc., about which I blog. I'm looking forward to following your blog. Laine-- I just LOVE your blog! Such an inspiration! 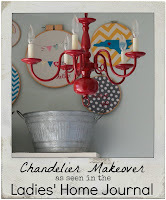 I am definitely going to have to try out a few of these ideas for myself in this next year... especially the red chandelier! Happy New Year to you and your sweet family!